We are open all year, 24 hours reception. Tariff includes breakfast and tax. Our attractive bedrooms offers single, double, triple rooms with and without en-suite. There are ample bathroom, shower and toilet facilities on all three floors for those rooms without private facilities. Enrico is a friendly, well trained staffs to ensure that you are well looked after. 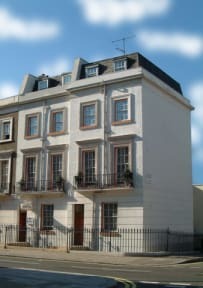 We are very well located near Victoria Station, Westminster Abbey, Houses of Parliament, and Buckingham Palace. 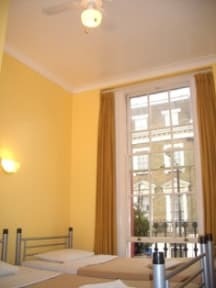 Ideal choice for travellers looking for competitive and moderate prices wanting clean, superior accommodation within easy reach of all London has to offer. Unfortunately the hotel does not have a lift. Good Location but the room was mouldy and smelled disgusting! Closing the window we could not sleep as it smelled so bad and opening the window we could not sleep due to the noise on the streets. You can hear every single step of the guests staying in the floor above you really louldy. The whole week end we couldn't sleep. We can definitely not recommend this hostel and don't understand why it's been rated so positively by other guests. We will not ever stay there again!!!!! !